Well, today marks 21 weeks of pregnancy for me. I can't really believe it's flying by this fast. I'm over the halfway mark. We found out a couple of weeks ago that this little one will be a girl. This will give us 2 girls and a boy - the boys are officially outnumbered at our house. I mentioned a few weeks ago that I had increased my juicing to provide lots of minerals, vitamins, and enzymes to our growing baby and to give me lots of energy to complete all my mom and work duties. I'm also counting on it to get me safely through cold and flu season. So far so good! There seems to be a great interest in juicing out there due to the number of hits on that post so I thought as we head into the weekend I would share a couple more of my favorite juicing recipes. Try them this weekend and enjoy! Process the tomatoes, lime, carrot, celery and lettuce through juicer and serve. This one packs a real punch with the lime in it. I love it! Process the blackberries, grapefruit, pear and lettuce through the juicer and serve. For some reason I'm really loving grapefruit right now and with the combination of blackberries and pear this is such a treat! 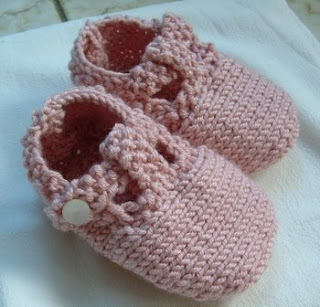 Awww..love the cute little booties. Congratulations! Congrats! I can't wait to get a juicer so I can try all of these good recipes I keep findng! I've been slack with the juicing lately... Thanks for the new ideas! And congrats on another little girl!